I am currently a freshman at UC Berkeley pursuing a degree in Media Studies. Ever since I got to Berkeley, clubs like Business Careers in Entertainment Club and internships like iCONCEPT opened me up to the many possibilities in entertainment, which is why I am, more than ever, certain that this is the industry I want to be working in. I am interested in the creative aspect of film and television, specifically screenwriting. I would also love to learn more about creative producing and directing. 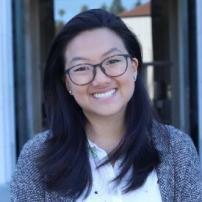 Please do not hesitate to contact me at rosalynwang@berkeley.edu! The BTS rapper breaks silence on why it took two years to release the mixtape and what's next for BTS. The Jacksonvllle Jaguars impressed and demoralized the Steelers in the divisional playoff round. The Big Baller Brand failed to satisfy consumers who bought signed pairs of the ZO2s.